The END of the Australian internet attack against South African Numismatics? I am not sure if anyone has noticed that tokencoins.com have been closed down by Australian authorities after its continuous slandering of South African Numismatists like Peter Wilson and Brian Hern (respectively the President and Secretary of the South African National Numismatic Society). The webmaster is trying to duck and dive the Australian Web Police (ACORN = Australian Cybercrime Online Reporting Network). This will also be exposed soon and ACORN will hopefully lock the webmaster up for his hateful & ongoing attacks against South African Numismatists. Scott Balson posted this info on Wiki recently- "my huge tokencoins.com website which is currently being updated, so will be down for a few weeks to come." I was wondering whether this ties in with your post. Not to labour the point, but a section of Scott Balson's website where he boasts about creating a hype about the Strachan tokens to increase the value. Maybe Macmuffin can help, but the quote I inserted was removed and labelled spam. I found the link on the internet that you are referring to. It is a company owned by "the Balson Holdings Family Trust in Queensland, Australia"
Token Coins - the creation of demand for an obscure token coin on the Internet. As a result the value of the token coin has risen dramatically by a factor of ten in just a few years. The value of the (S & Co tokens) has risen dramatically by a factor of ten in just a few years. It is almost unbelievable that he admitted doing it. My recollection is that in a prior post on this forum, Scott claimed he bought a truck load (literally), 20,000 of them. If this is true, I'd rate the chances as zero that these tokens (not coins) can be dispersed to new owners and maintain the values I have seen asked (not paid) on either BoB or Ebay. He can claim what he wants but these items are not considered coins and tokens have a much lower collector base with much lower prices. In the Heritage archives, I once checked prices. My recollection is that a very (as in very) low number sold for more than $10,000. This is a high price but a pittance compared to US coinage. There are far fewer token issues from South Africa but to my knowledge, most of them are also disproportionately scarce, just like your coinage which is a negative for pricing. While South Africa is not the USA, there is no question that the most widely collected US tokens circulated as currency. No one disputes that but it makes no difference to how US collectors view them. The only distinction is that the US Mint was striking coins concurrently while the ZAR and OFS were not, assuming these were struck prior to 1892 which apparently is in dispute from reading other posts here. There is one thing about the S & Co Token swindle that I could never understand. Why would any person think that the S & Co token series would be more valuable, if say it could be proven that the Griqua coinage never circulated? Let’s say (only for the sake of the argument) that the Griqua coinage was sent as cargo with the Alacrity when it left England in October 1816 and the ship floundered and sank never to be heard of again. Then the only Griqua coinage left would have been the 3 Pounds & 8 shillings worth that was bought from the London Missionary Society as recorded in their donations register by David Langton before the bulk was sent off to South Africa. Can one just imagine how valuable these few pieces would have been today if they were the only examples left to collectors? Would these collectors worry about the fact that the surviving pieces never circulated? Would they consider these pieces as junk money having no relevance to South African Numismatics? They would have been even more valuable, more revered and more treasured. Did South Africa’s most valuable coin, the “single 9“ ZAR Pond actually circulate? No it did not. It was actually never intended for circulation as it was donated to the American Consul in Pretoria and later bought by King Farouk of Egypt. Did the King worry about the fact that it never circulated? No, certainly not. During the Second World War, the ship carrying the A/100-500001 to 1000000 series and A/119 series of the Postmus One Pound notes was sunk on its way to South Africa by the Germans. Were they ever put into circulation? No, certainly not. If a few specimens of these notes were to be discovered in a dusty cabinet at their printer’s offices in London, would they be considered as junk notes with no importance to South African numismatics and thrown into the nearest dustbin? No, certainly not. The 1926 Farthing (Quarter Penny) is a legendary Union coin with examples virtually never offered on open numismatic auctions, and if they do, sells for extraordinary prices. Did any of the 16 known specimens ever circulate? No, certainly not. So why on earth is the circulation or non-circulation of specifically the Griqua coinage series so important to prove that if they have junk status or not? The reason, unfortunately, is that someone though that that line of spinning will increase the value of the 20 000 S & Co tokens stored in boxes in his garage by ten times. Different coins have significance for different reasons. The 1898 "Single 9" pond is significant because it is an "ultra elite" coin, not because of its scarcity. It was never intended for circulation, collectors know it and don't care. Similar idea for the 1926 proofs, except that my view is that, like most other Union coinage, the significance is substantially diluted by the disproportionate scarcity in the broader Union series. First, S&Co tokens circulated as currency and should be treated as coins. Never mind that hardly anyone or no one else agrees with him. By tradition, coins have almost always been classified by the legal tender status derived from the government authority where they circulated, whether issued by the Mint or struck privately (such as the Heaton Mint and Franklin Mint). I am not aware of a single instance where any coin was designated as such simply because it circulated as currency. Some privately struck coinage circulated without government sanction and is classified as coinage by tradition, but the distinction is that these items look like coins. The S&Co tokens look like what they are, tokens. In my last post, I specifically used the example of US tokens which undisputedly circulated in lieu of and concurrently with US Mint issued coinage. The most prominent examples are the "Hard Times" and American Civil War which were issued during the depression of the 1830's and the war between the Union and Confederacy from 1861-1865, both as a result of coin shortages. These tokens also looked a lot more like coinage (same or similar size and metal content to US large cents) than S&Co tokens do versus contemporary coinage. I have never read a single account where any US collector uses this line of reasoning to argue for a change in status. Second, many collectors think there is some significance to something being first. The only way he can claim that S&Co tokens are the "first indigenous coinage" is by displacing the Griquatown issues. In some instances, I would agree but only if this claim coincides with other attributes that actually make a coin (or other object) significant. As an example, the Mexico Carlos & Johanna 8 reales is the first crown sized coin struck in the Americas, between 1536-1545. It would still be a significant coin, whether it was the first one or not with only four known. 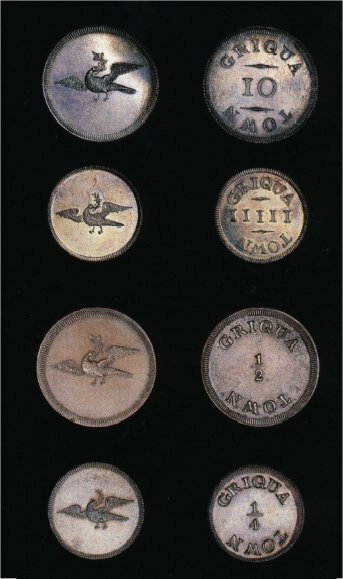 Third, to change the status to include these tokens as coinage in the coin catalogs (Hern's currently) because many collectors define their sets in this manner and since they do, this will presumably increase the demand and since he has an outsized proportion of the supply, enable him to realize a windfall. Fourth, to prove to the SA numismatic community that he is correct and the "establishment" is wrong. I make this claim because, despite his disproportionate troll behavior of meritless claims on this forum in our economic debates, I don't recall a single instance where he ever admitted any error, not even once. Disproportionately, his posting history consisted of illogical arguments supported by endless repetition of his "buzz phrases" which supposedly contained profound insight, claims which had nothing to do with his arguments and more references to unsubstantiated hearsay than I can even remember. The last debate I had with him in 2013 under the topic "Preparing for Economic Hard Times" led me to lose all respect for him. This is indeed sad. He tried to enrich himself by belittling the Griqua coinage. Another thing that is a mystery to me, is why the Griqua Coinage was singled out and so viciously castigated to promote the S & Co tokens? Why not rather attack the truly first South African coinage, the De Mist Scheepjesguldens of 1802 and spin the same nonsense story that no contemporary documents exist showing that they were ever put into circulation? That would have been a much easier target, because in the case of the Griqua coinage, we do have proof – the Helm letter of 1821. But in the case of the Scheepjesgulden, it would have been much more difficult to prove. The biggest irony, however, is that we do not have one single contemporary document that shows that the S & Co Tokens actually circulated before 1907. The 1802 Scheepjesgulden isn't in any South African catalog or Krause and to my knowledge, isn't considered a South African coin to those who use these references in set definition and completeness. I have never heard of this coin. Targeting this coin would unlikely have any financial benefit. If the Griqua tokens/coins weren't in South African catalogs and Krause, the prices would be much lower. The Scheepjesguldens of 1802 were indeed the first coins struck for South Africa. It is true that numismatic catalogues (local & foreign) do not list them under South Africa, but various numismatic publications (not catalogues) confirms the fact. Engelbrecht (1987 : 25), Cribb, Cook & Carradice (1990 : 243), Shaw (1956 : 9-10), etc. Van Rensburg (SA Coin and & Note Catalogue 2002/3) also mentions the fact. I wasn't questioning your facts. You would know this better than I do. The primary US catalog is the "Red Book", formally titled, A Guide Book of United States Coinage by R.S Yeoman. It has been issued annually since 1947 and is the most common "reference" book which collectors traditionally use to define what coins to include in the definition of a "complete" set. The Red Book includes a section generically classified as colonial coinage, primarily issued in one of the original 13 English colonies or struck elsewhere for use in the 13 colonies prior to the establishment of the US Mint. I'm not familiar with all of them and not in detail with any of them. But I do know that most of them were struck in relatively limited numbers and didn't circulate widely. Some may not have circulated locally at all but are included by tradition. The most widely circulating coins were Spanish colonial, the pillars I collect and the subsequent Bustos or Portrait. Guess what? Pillars and Portrait aren't considered necessary for "complete" sets or for that matter, any set of US colonial coinage. Some collectors buy them anyway as a supplement if not collecting them as a distinct series as I do, but these coins aren't included in the NGC or PCGS registry sets. Omission from the Red Book and now registry sets is probably the most significant reason for the much lower price level versus the coins included in the Red Book. This even though pillars are frequently scarcer or much scarcer than most US colonials, despite the higher mintages. The Griquatown (excluding the no date 1890 penny) are the only coins in Hern, Randburg and Kaplan which are equivalent to US colonials. Or maybe the Kroon too. If this coin you mention were to be included, it would almost certainly be worth a lot more. Ultimately, these distinctions are subjective. Additionally, as I stated in my prior post, classification as first coinage in and of itself doesn't create any distinction at all, except to those who are interested in exaggerating the merits of what they like or own and usually to inflate the price. I can also add:- why were no examples of the Griqua coinage ever found by metal detectorists? Or for that matter, the S & Co Tokens that were put into circulation almost a century later? Why do metal-detectorists seldom or never find examples of these? This is an interesting question that I will try to answer in a new thread that I will be starting soon. As a matter of interest, I was for many years the editor of the South African Newsletter // Magazine for Metal Detectorists Treasure Talk, so have first-hand knowledge of the subject. I have also metal detected on most continents (except Australia) with my finds going back two thousand years ago to Roman and Celtic times. I averaged about 20 000 coins a year and stopped counting the “treasures” after I found my 200th gold item. 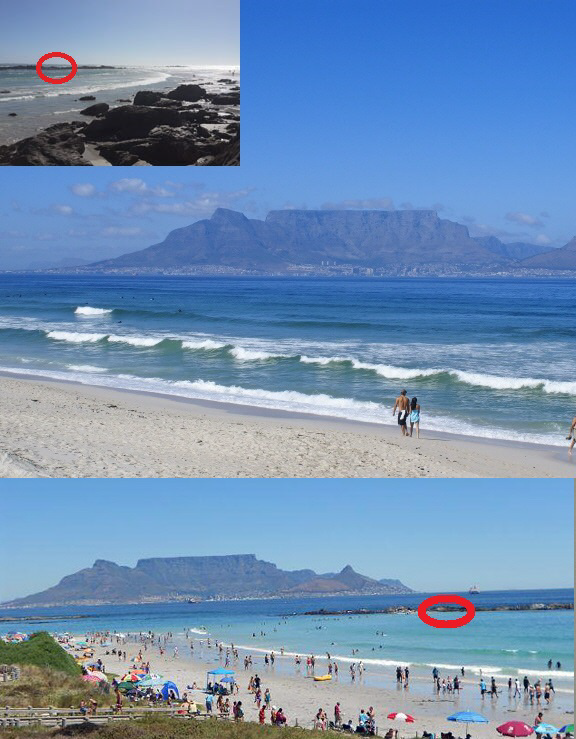 I will start the new thread during the coming weekend, but as I know that jwither collects Spanish Pillar Dollars ... guess what was found here on this little low tide island at Blueberg, Cape Town during the 1970s by a metal detectorist? Or should I ask how many? Griqua Town coins - all types. Guess what has happen to this internet site that promoted the Strachan & Co Tokens by belittling the Grigua coinage? They are now selling their internet domain (Tickhere.Com) after it was exposed here on our forum for what it is! tickhere.com is 1 decade 4 years old. It is a domain having .com extension. This site has a Google PageRank of 2/10. This website is estimated worth of $ 8.95 and have a daily income of around $ 0.15. As no active threats were reported recently by users, tickhere.com is SAFE to browse. Looks like Balson is back. He even has a page dedicated just to Pierre Henri. He sounds like he is a few sandwiches short of a picnic basket. "Someone who is not altogether in the mental sense; nevertheless someone who can be considered a blundering dumbass"
Yea well, what can I say? After "The Australian" was exposed for fraudulent Shill-Bidding on Ebay under his wife's name, as well and his Strachan & Co Token swindle and other internet misdemeanors that came to light, he was practically banned from all numismatic forums and websites around the globe. His only defense now is using his own website where he is trying to crucify me (and other South African numismatists including Brian Hern) for exposing his fraudulent ways. (He is even attacking BidorBuy for exposing him). His website looks like it was build 20 to 25 years ago, and even my children (2 of them are in web-design) sometimes click on it to see how time just suddenly froze so many years ago for some web-builders/ designers. (That was his full time job many years ago --- his fraudulent shill-bidding was done more recently and hopefully after hours using his ex-wife's name). The whole thing just looks ridiculous and ancient but it provides me and my kids with continuous pleasure - I hope he NEVER deletes it! As Tulley said above - "He sounds like he is a few sandwiches short of a picnic basket"
And all this slander, cartoons and all? Zapiro would be proud! The most definitive information re the Griqua Coinage is contained in Ann Stuart's "A research into the Missionary-issued Community Coinage of Griqualand, South Africa in the early 1800's ". This scholarly work was initiated and funded by a true South African numismatist, Morgan D. Carroll, and came out in March 2017. Read it once. Read it twice. This is research as it is it is supposed to be; information dug out from contemporary sources. Information which not only gives detail re the Griqua coinage but colours in the detail as well. For too long, one lone voice with an Aussie twang has been trumpetting his belief that the Griqua coins never circulated, a belief that was formulated not by information but by the lack of information from events that took place over 200 years ago. And that was it. A eureka moment from a fellow numismatist - but one with an open mind. A person who was not afraid to change his opinion, based on either what he could physically see for himself or upon new facts and evidence. Then he decided to sort out matters once and for all. In an email he wrote to me in early 2017, he said: “My focus is to find facts/ evidence. Too many 'assumptions' in the Griqua story”. Thence, the not inconsiderable expenditure of both time and money by Morgan to get the truth. For the truth is all that matters. Within 3 months and by early March 2017, our knowledge re the GQT coinage had increased exponentially and the South African numismatic community at last had the information which had remained hidden for almost two centuries. Despite the failure of this coinage, it is now indisputable that the GQT coinage did in fact circulate – albeit for a very short period of time. At this stage, I thought I should end things. But that would not be proper in the light of Scott Balson’s comments re this latest research. For instance, Scott highlights such “proof” of non-circulation by underlining in red the following: “ Evidence that the Griqua coinage was not being used is to be found again in a letter from Heinrich Helm to Dr John Philip in Cape Town dated 21 June 1821”. This is a distortion of facts, as there is complete agreement by all parties that the GQT coinage was not being used in 1821. However – and in the context of Ann Stuart’s report - the sentence referred to would almost certainly infer that the GQT coinage had been in use prior to 1821. To anybody interested in the fascinating facts re the GQT coinage, I repeat: read Ann Stuart’s report!! Morgan's financial and moral supportive patronage are virtually unheard off in our country when it comes to Numismatic research. He is truly Morgan-the-Brave and so many of us salute him for this support. A thousand pats on the back Morgan! We are all fed-up with him, but this is precious! "I live in Australia. My parents are Scottish and Irish. My interest in the Griqua stems from my 50 year interest in numismatics which I am no longer involved in."..." I find your attack on me sad and disappointing BUT I have been told Wikipedia is BS and your comments above bear this out. I have no bias - just an interest in the truth." As I do not know enough about Griqua history, I don't know if Scott's work on the Griqua's is any good. However, his work on the Griquatown coinage is poorly researched, as shown by the paper published by Ann Stuart. Even before this paper, Scott's view was that according to his extensive and years long research, all the facts about the coinage was on the table (he actually told me that). Scott's comment at the moderator is sad. It seems he has lost interest in one of the more interesting passages of South African numismatics, highlighted partly by his thoughts on the subject. The honest-to-goodness facts re the original GQT coins have been revealed in all their glory in the form of the Carroll/Stuart Anthology Research Report - March 2017, titled "The Failed Community Coinage of Griqualand". Without wishing to knock a man down any further, it has now been possible to populate Wikipedia with actual facts on this matter instead of mere suppositions and guesswork. Anybody who tries to alter the hard, factual information on the GQT coinage on Wikipedia is in for an impossible time unless they could prove that the facts in the aforementioned report are manufactured - which, of course, they are not. Re Scott's work on the Griquas being any good, I will reserve comment, but on their original coinage he got it horribly wrong.